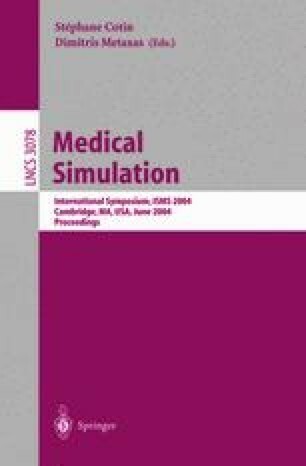 Simulation of soft tissue behavior for surgical training systems is a particularly demanding application of deformable modeling. Explicit integration methods on single mesh require small time step to maintain stability, but this produces slow convergence spatially through the object. In this paper, we propose a multigrid integration scheme to improve the stability and convergence of explicit integration. Our multigrid method uses multiple unstructured independent meshes on the same object. It is shown that, with the proposed multigrid integration, both stability and convergence can be improved significantly over single level explicit integration.